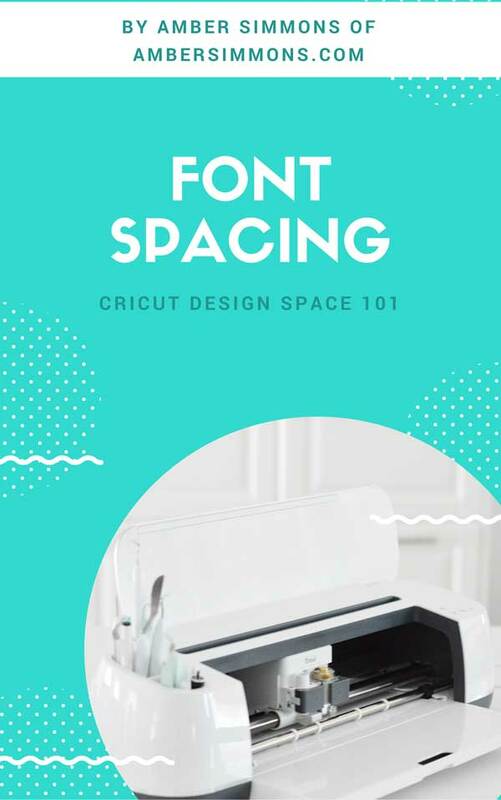 For this Cricut Design Space 101 tutorial, we are going to cover how to change font spacing between the letters in your text. Have you ever typed a word, specifically in a script font, to find all the letters are separated? I’ll show you two ways to make them touch for one continuous hand-lettered word. The first way to do it is simply by highlighting the word and going up to the toolbar under Letter Space. If you click the up arrow the letters will get further apart. If you click the down arrow they will move closer together. While that method works for a lot of fonts, it doesn’t work for all of them. The second method takes a little more work but you can make it more custom. To do this, start by highlighting your text. Then in the upper right-hand corner click the Ungroup button. This will make each letter an individual layer. Since they are all single letters now you can click and drag each of them around. Making them as close to each other as you would like. For script fonts, you can overlap them a little bit. This is where you can do something a little more custom. I like to move them up or down a little as well to give the word a more modern calligraphy bounce. Once you have them all where you want them, you can group them back together and continue with your design. Before you cut you will want to weld them together, for BOTH methods. If you do not weld them the letters will still cut individually when for script fonts it should be one continuous shape. More of a visual learner? Check out my video! I would love if you would subscribe to my YouTube channel as well so you don’t miss out on any tips, tricks, or tutorials. Now that you have you know how to adjust fonts want to play with some more? Learn how to use your own fonts in Design Space. Want more Cricut help? I have a whole Cricut Design Space 101 series! Ready to make some projects? Check out my Cricut page where I list all my Cricut projects. I a m s o f r u s t r a t e d .
How do I change the word spacing? Neither letter spacing nor line spacing fixes it. I could do it with letter spacing, but then it doesn’t let me move the punctuation marks… Help!! I would ungroup the letters and do each word individually and regroup. Another option is to do all the words in their own text boxes to just us the letter spacing button.